This was a four day cruise out of Miami with port calls in Nassau and Royal Caribbean's private island in the Bahamas, Coco Cay. In sum, we were very impressed by Mariner of the Seas. Mariner has a new mission. After spending several years helping to establish the Royal Caribbean name in Asia, in summer 2018, Mariner returned to cruising out of Florida. En route home, she underwent a multi-million dollar revitalization in Spain. Now, refreshed and with several new facilities added to her arsenal, Mariner is taking on the market for three and four day cruises out of Florida. Short cruises out of Miami and Fort Lauderdale have long been a staple of the cruise industry. 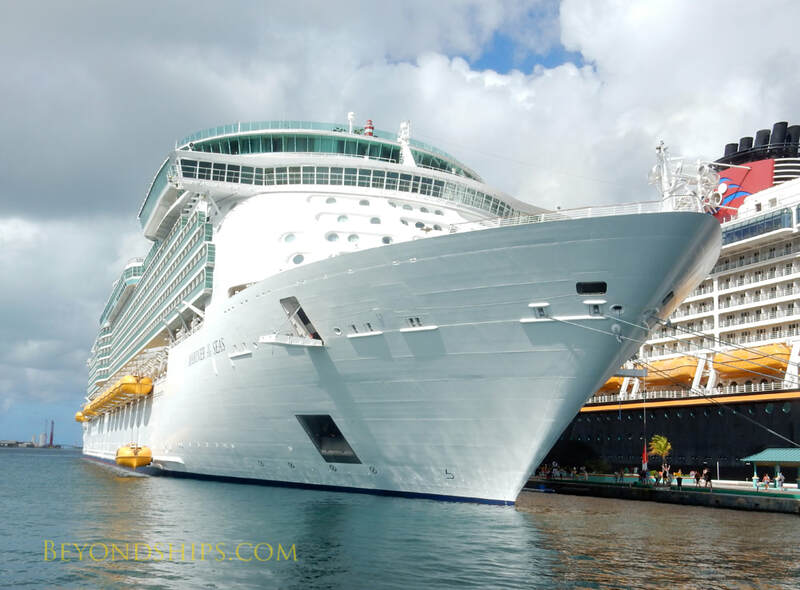 Such cruises attract people who want a quick getaway, people who are in Florida for other reasons and who want to add on a cruise, and people who are new to cruising and who want to try a short cruise to see whether cruising is for them. There are also quite a few people who combine a ship's three-day cruise and the following four-day cruise to make it into a seven day vacation. These are often but not always people who are devoted to a particular cruise line or a particular ship and who do not much care where the ship is going. This is a very competitive market. Most of the major cruise lines offer such cruises. However, they do not usually allocate one of their first tier ships to this market. It is something that is typically done with older ships. You do not usually find ships like Mariner of the Seas doing these cruises. At just under 140,000 gross tons, she is significantly larger than the other ships doing this itinerary. 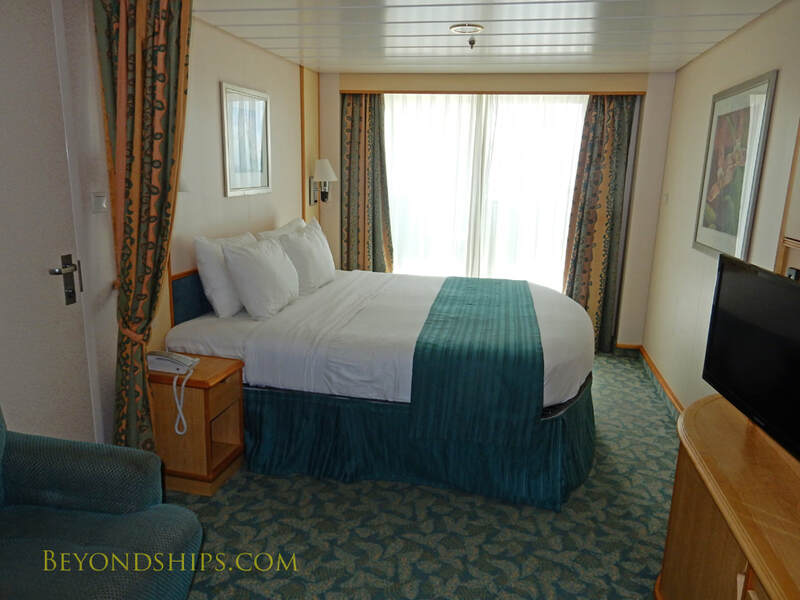 Her size allows her to offer essentially the full line-up of popular Royal Caribbean features. Furthermore, although Mariner can carry more than 3,000 guests, the passenger-space ratio has long made the Voyager class ships very popular. You can be with people but there are also places where you can be pretty much by yourself (e.g. the outdoor promenade). Add to this that the ship has had a multi-million dollar refurbishment and you have a formidable piece of hardware. Still, it is a well-known maxim in the cruise industry that great hardware, in and of itself, is not enough to create great cruise experiences. You also need good officers and crew. On Mariner, we found the crew friendly and with a good attitude. Overall the service was first rate. Mariner's main dining room is a spectacular room rising through three decks with huge chandeliers at the top. It is open for breakfast, lunch (sea days) and dinner. For dinner, the ground level is dedicated to My Time Dining, Royal Caribbean's flexible dining option. The two balony levels follow the traditional two-seating dining system. Guests select which dining system they prefer when they purchase the cruise. For this voyage, we selected My Time Dining. We tend to eat late and had no problem being seated when we arrived at the dining room. The menu offered variety, the food was prepared well and the service was good. We also tried the dining room for breakfast and lunch. For these meals, the dining room is open seating. However, Mariner had allocated a section of the dining room to guests who are Diamond level and above in Royal Caribbean's loyalty program. This was a nice touch that used to be done throughout the Royal fleet but which unfortunately not all of the Royal Caribbean ships still follow. It is nice to have such recognition from the line. Plus at lunch the server remembered us from breakfast the previous day and knew our preferences. As a result of her refurbishment, Mariner has several specialty restaurants - - Chops Grille; Jamie's Italian; Izumi and a Chef's Table experience. Chops, however, is Royal Caribbean's flagship specialty venue. It is a classic steakhouse offering good quality beef as well as various other dishes. (See our menu page). Both in terms of the food and the service, we would rate the Chops on Mariner as one of the best in the Royal Caribbean fleet. Across from Chops on the starboard side of Deck 11 is Jamie's Italian. Jamie's was developed with British celebrity chef Jamie Oliver and features his take on various Italian dishes. We especially like his lasagna and eggplant parmigiana. Once again, both the food and the service were very good. The Voyager-class ships were designed with active people in mind. In addition to her pools, Mariner offers a surfing simulator, mini-golf, ping pong, waterslides and a new bungee experience during which guests wear virtual reality headsets. Guests can also skate on the indoor ice rink. However, at certain times, the ice rink becomes the venue for laser-tag. Royal Caribbean does not offer much in the way of intellectual stimulation in its daytime programming. There are triva contests and talks by people who are trying to sell something (e.g. the art gallery and the spa) but no talks by independent lecturers. It strikes us as odd that a line that spends millions to enhance its ships with art work should think that its clientele has no interest in enrichment. In the evenings, Mariner offers the classic array of Royal Caribbean entertainment. This includes production shows (on different nights) in the ice rink and in the theater. The performances and production values were very good. In addition, there were visiting entertainers (a comedian and a magician) in the theater. Also, there were theme parties in the Royal Promenade and Royal's adult game show the Quest in the ice rink. Several of the bars and lounges had live music. Mariner's internet facilities were upgraded during her refurbishment. As a result, the ship now provides a very good internet package called “Surf and Stream.” As the name indicates, we were able to stream video as well as work on various business projects from our stateroom. On this voyage, no single age group dominated. There were young people as well as more mature passengers. There were children aboard but since school was in session in the United States, there were not as many as you might expect on a family-oriented ship such as Mariner. Most of the passengers were from the United States. However, there were also quite a few people from Latin America and South America. The Voyager-class ships generally provide a comfortable ride. On this cruise, the weather cooperated and there was very little motion. The cruise line private islands in the Bahamas can sometimes pose a challenge in that the wind will sometimes prevent them from tendering passengers ashore even on what looks like a peaceful sunny day. There was no such problem on this voyage. Mariner was able to anchor and conduct a smooth tender operation. Guests could see that tendering will soon be a thing of the past at Coco Cay as Royal is making considerable progress in building a pier for its ships. Because of the short distance between Florida and the Bahamas and the close proximity of the ports in the Bahamas, Mariner did not have to go full speed. Indeed, most of the time, she seemed to be traveling at the minimum speed needed to make headway. Above: Our balcony stateroom on Mariner.